الخيار الأفضل للحصول على المتعة والاسترخاء, Classic Villa يقع في منطقة كريستشارش سنترال سيتى في كرايستشرش. يقع الفندق على بعد 0.5 km من مركز المدينة، ويؤمن الوصول إلى أهم مراكز المدينة. إن سهولة الوصول من الفندق إلى المعالم السياحية الشهيرة الكثيرة في المدينة كمثل Cave Rock Gallery, ‪Worcester Boulevard‬, ‪Christ's College‬ هو استثنائي بحد ذاته. إن Classic Villa حريص على توفير الراحة للنزلاء، فلا يوفر الموظفون جهداً في تقديم أفضل الخدمات وضمان حسن الاستقبال. إن واي فاي مجاني في جميع الغرف, مرافق مخصصة لذوي الاحتياجات الخاصة, واي فاي في المناطق العامة, صف السيارات, رعاية أطفال هي جزء فقط من الخدمات التي تميز Classic Villa عن باقي الفنادق في المدينة. يمكن للنزلاء الاختيار من ضمن مجموعة من الغرف المصممة بعناية لتعكس جواً من الراحة، والتي يتجاوز عددها 1. كما أن مجموعة الخدمات الواسعة الموجودة في الفندق لضمان راحتك تترك لك الكثير من الخيارات لقضاء وقتك أثناء فترة إقامتك. إن Classic Villa هو خيارك لخدمة الفنادق الراقية في كرايستشرش. One of our loveliest experiences on this trip. Beautiful, comfortable surroundings with a caring, helpful staff. 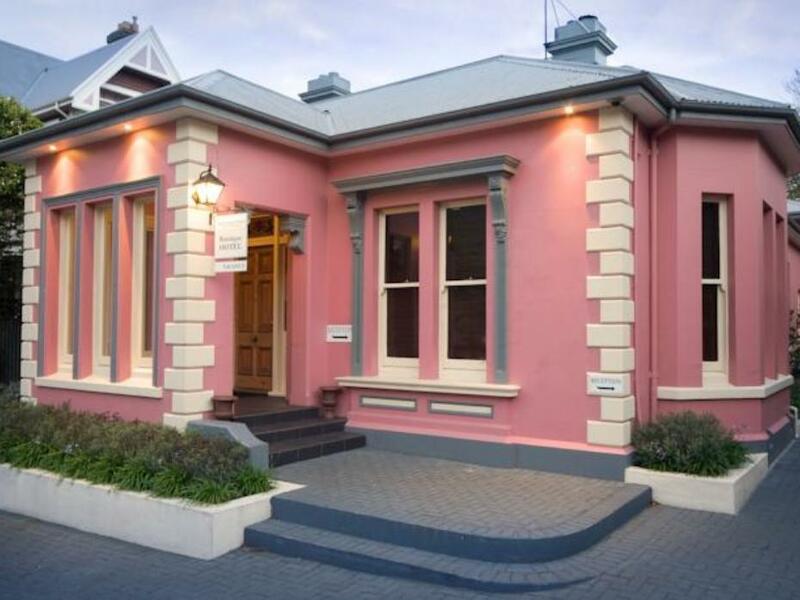 The location was perfect - a 5 minute walk to almost everywhere in the CBD. Everything one needs when traveling. Peter was very accommodating to our early morning schedules. He made us a wonderful breakfast much before the regular time. Thanks you for a fabulous stay! The only thing we could think of to improve our stay is to have a choice of pillows in the room. The pillows are all beautiful quality but too soft for us. Very nice, comfortable 2 nights stay. 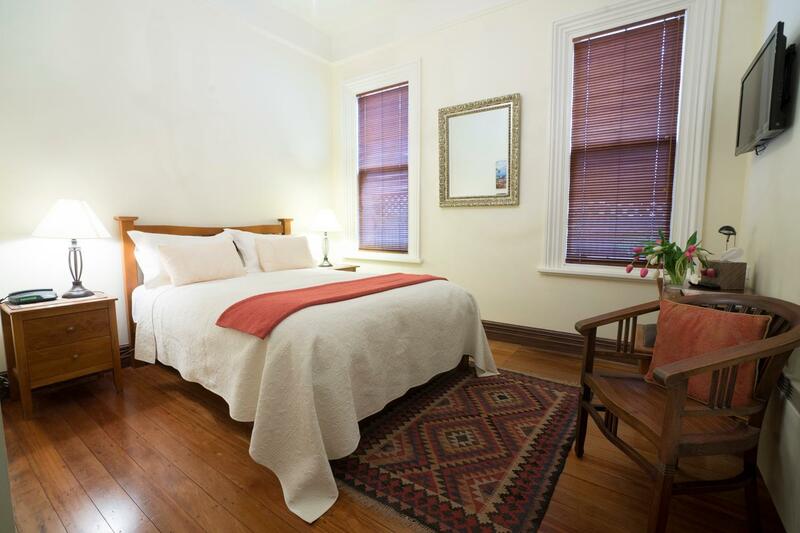 Centrally located, walking distance to the beautiful Botanic garden and museum. The best part was the breakfast specially made for you by chef and then kitchen was available 24/7 with everything you need without any extra cost. Totally loved our stay. just one night is ok. Nothing much around Villa . Easy to catch flight in morning. first class service, especially Averil on reception. Short stay, but as per last time, very comfortable and convenient. Staying in the Classic Villa, Christchurch, at the end of two wonderful weeks in New Zealand was the icing on the cake of my first visit to that beautiful country. Old school friends and I from northern New South Wales met up in Queenstown for a week to celebrate our joint 60th birthdays in 2016. In the second week, a friend and I travelled north from Queenstown, reveling in the beauty of the south island while heading for our fly out destination of Christchurch. Deciding on some downtime before flying out, we booked two nights in the Classic Villa. Our stay turned out to be one of the highlights of our visit to New Zealand. We were swept up in the Villa's tastefully renovated classic surroundings and spoilt by the care of the friendly, attentive staff. I would recommend the Classic Villa Christchurch to anyone who enjoys classic style, quiet elegance and a friendly and relaxed environment. Good but breakfast a bit disappointing. Our room was next to the entryway and it was Chinese New Year so not quiet. We mistakenly turned on the heat and the pipes clanked all night. The hostess did everything to be helpful. Good location next to the botanical gardens. The rooms are very individual and spacious, this hotel is a second home with a great real living room and dinning area. The breakfast is a superb continental style breakfast with a wide variety. Our stay was wonderful, the host Peter made use very welcome. The living area was welcoming and we used the sitting room and dinning area. The breakfast was great, even had the ability to make a Bloody Mary! The hotel is is a great location minutes from the city and the botanical gardens, right next door to great dining. The rooms are well presented and very spacious and comfortable.